It was my goal this summer to get out and hike every weekend. 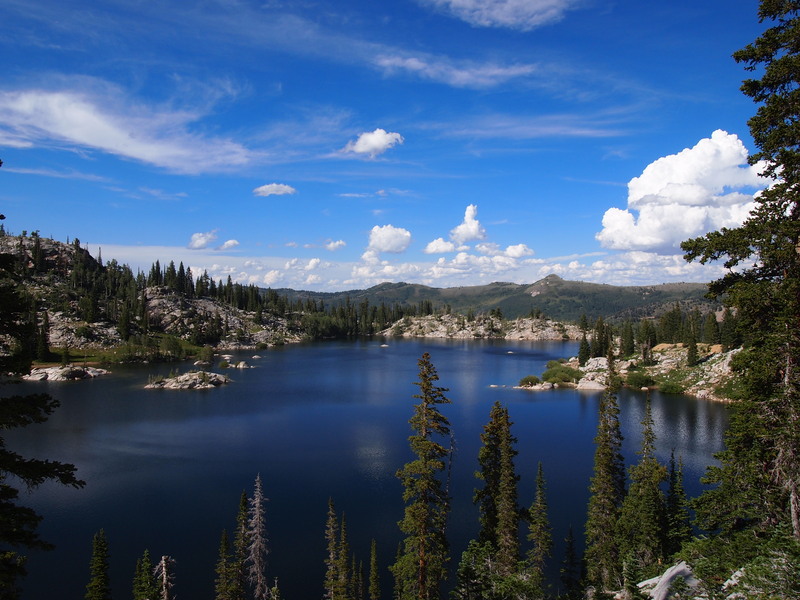 With the exception of the weekend we camped in Montana, I actually lived up to that goal! 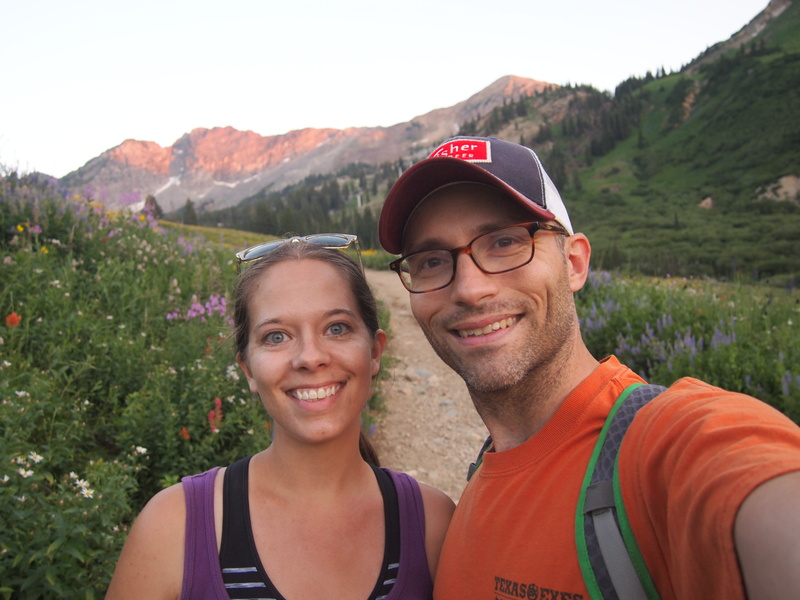 But this isn’t a hiking blog so I’ve refrained from writing about each and every hike. 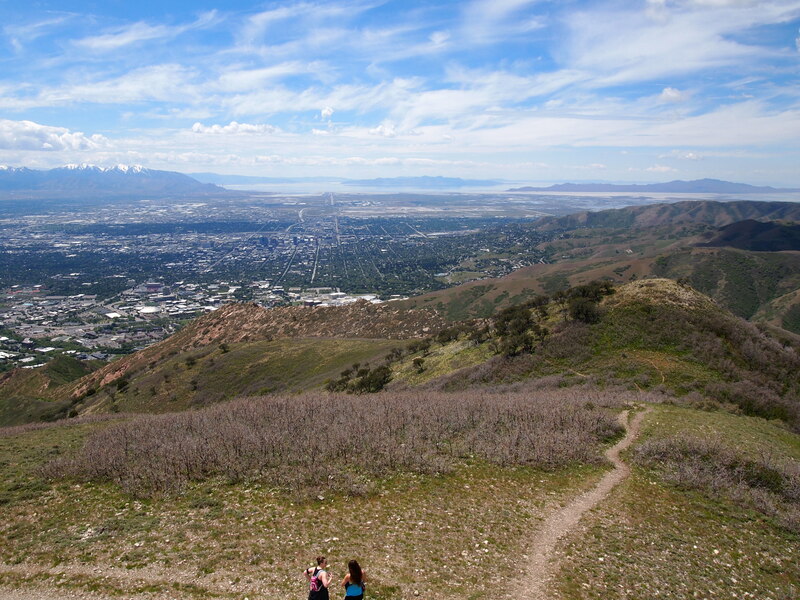 In fact, it’s been nice to go for a hike and leave my camera in my backpack instead of within grasp. 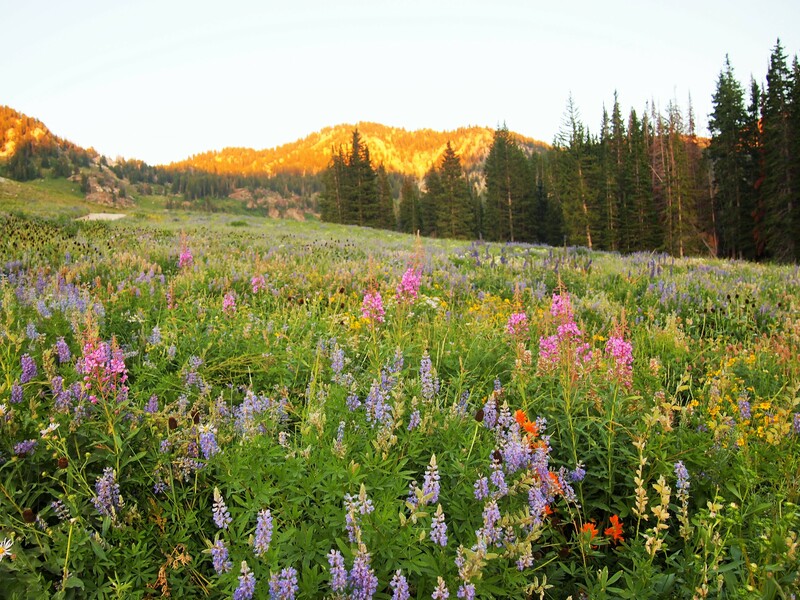 As summer ends, here are some of the hikes we did to give you a taste of summer in northern Utah. 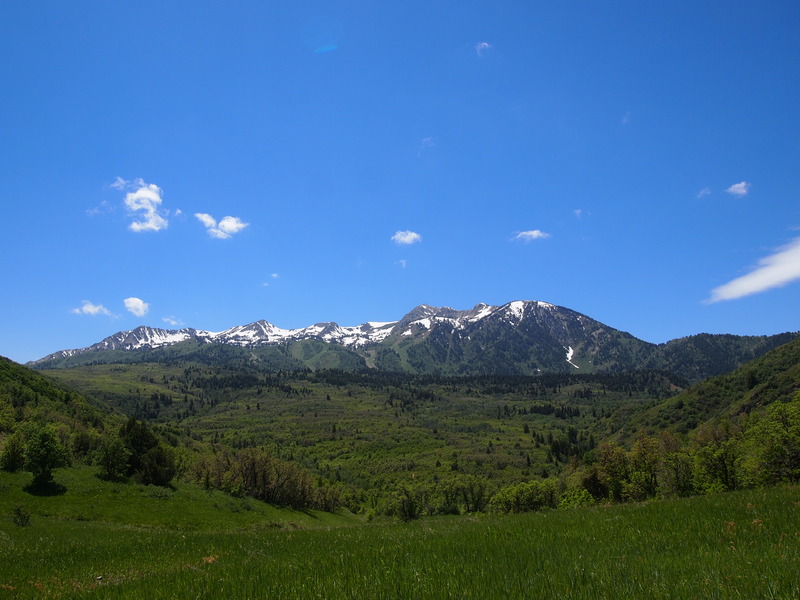 In late May, we were still focused on lower elevations as the snow pack began to melt higher up, so we took the opportunity to hike around the foothills. We took the path up past The Living Room to Mt. Wire. It was a little more than we bargained for with an elevation gain of 2,300 feet, but worth the expansive views once we made it to the top. 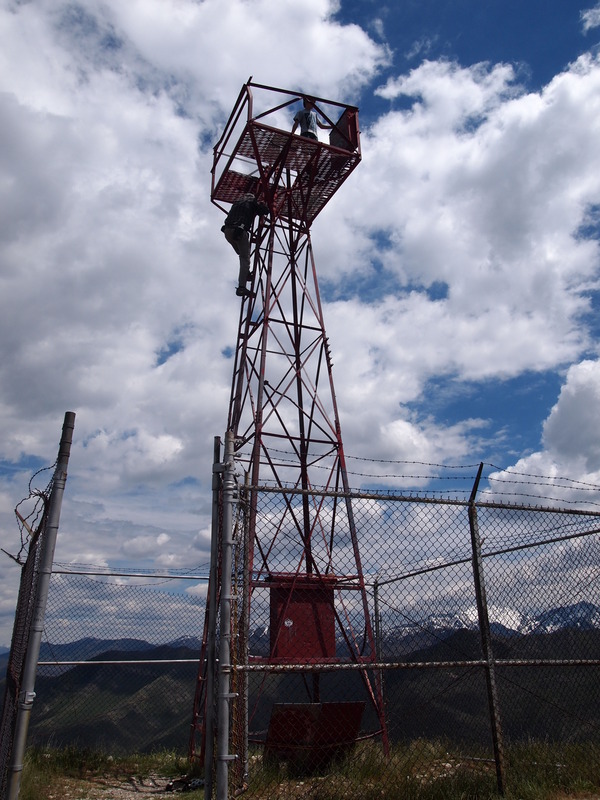 Zach climbed the old air beacon, but it was a little too rickety for me. 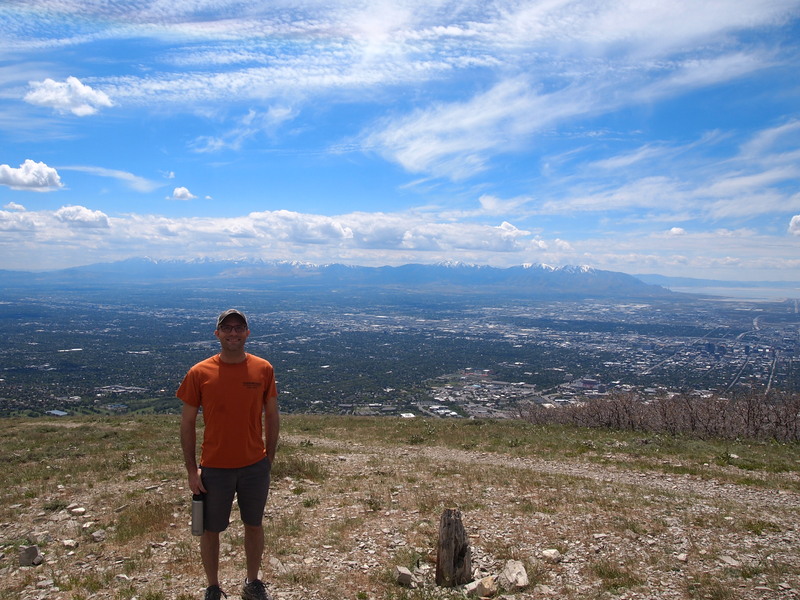 We had views of the Salt Lake Valley below, the Oquirrh Mountains to the west, and the Wasatch range to the north and south of us. 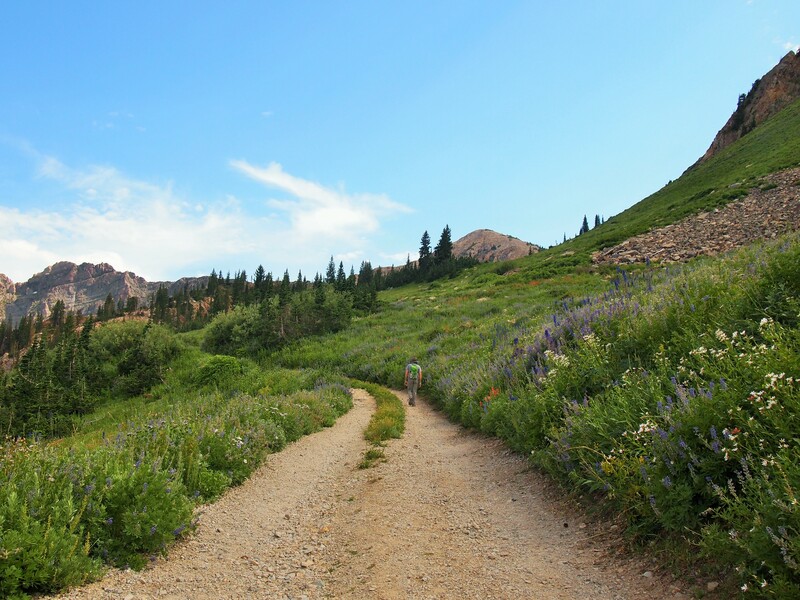 In early June, we ventured up Mill Creek Canyon to do a portion of the Desolation Trail. 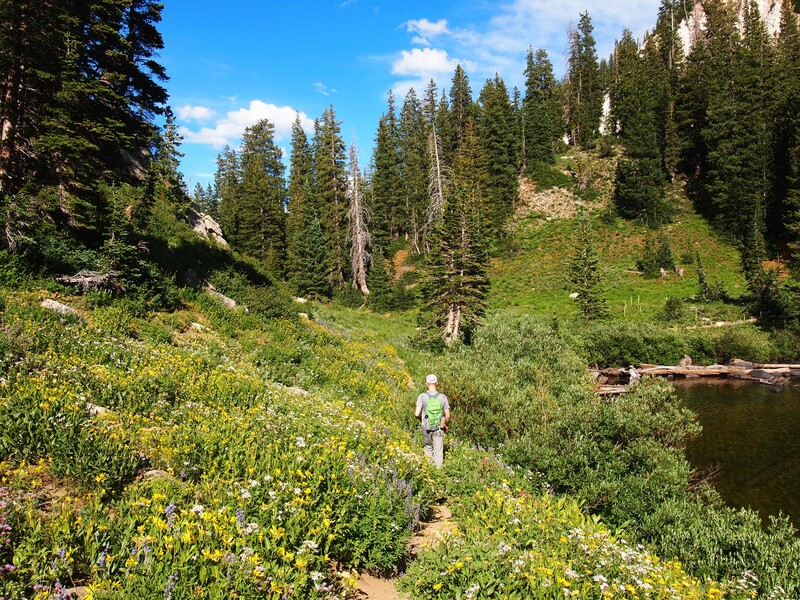 The Desolation Trail stretches well over 18 miles from Mill Creek to Big Cottonwood Canyon, but we only aimed to reach the Salt Lake Overlook, a pleasant 4.5 mile round trip hike. 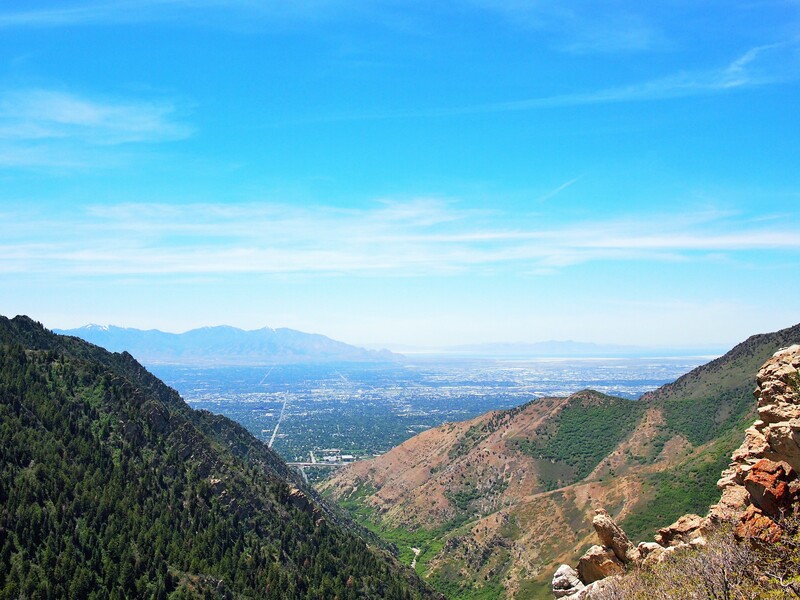 The trail was mostly shaded, weaving in and out of more forested areas and switch-backing up the canyon until we reached the rock outcropping that marked the overlook. We had a nice view of the valley framed by the canyon walls. 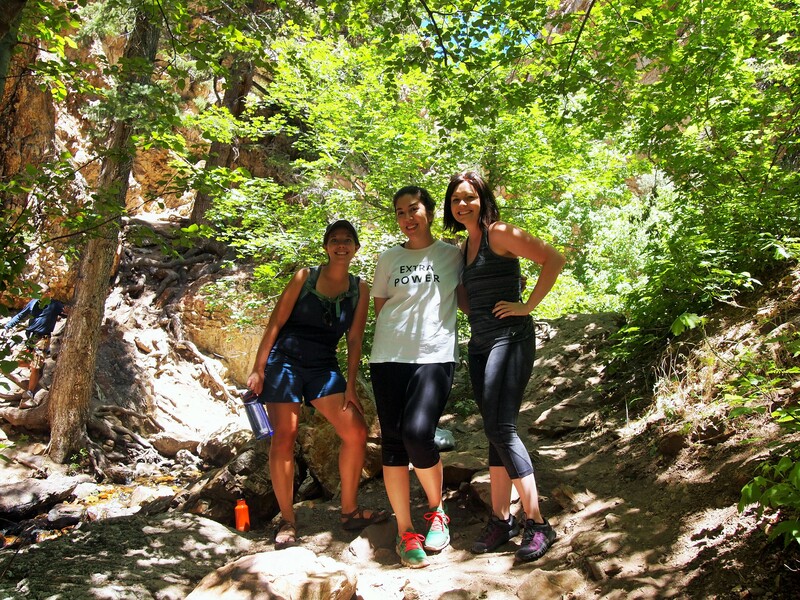 The day before Zach left for El Salvador, we took a little day trip to Ogden Canyon. We wanted to hang out at the Shooting Star Saloon with burgers and beers, but needed to exercise to justify the extra calories. 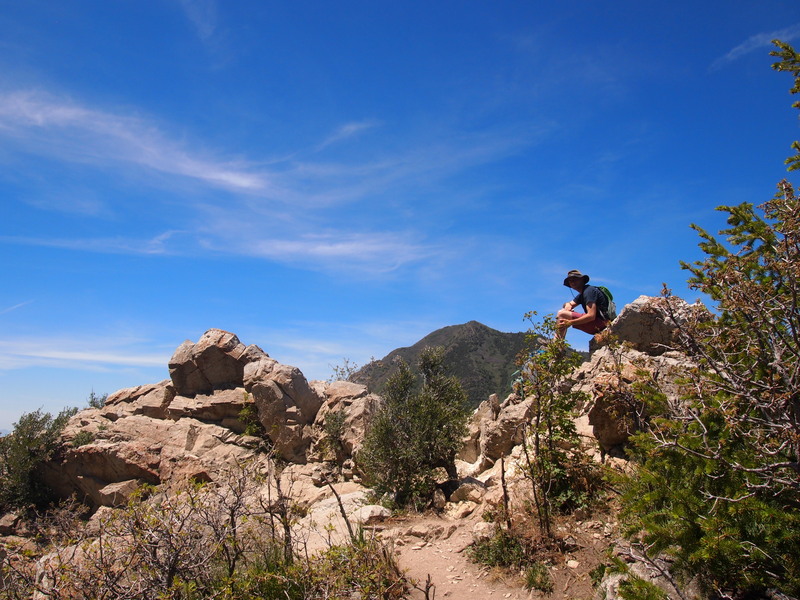 So, we decided to do a 5 mile hike through Icebox Canyon using the Wheeler Creek Trail to create a nice loop. While Wheeler Creek was wide and rocky, the detour through Icebox Canyon was shaded and gorgeous. 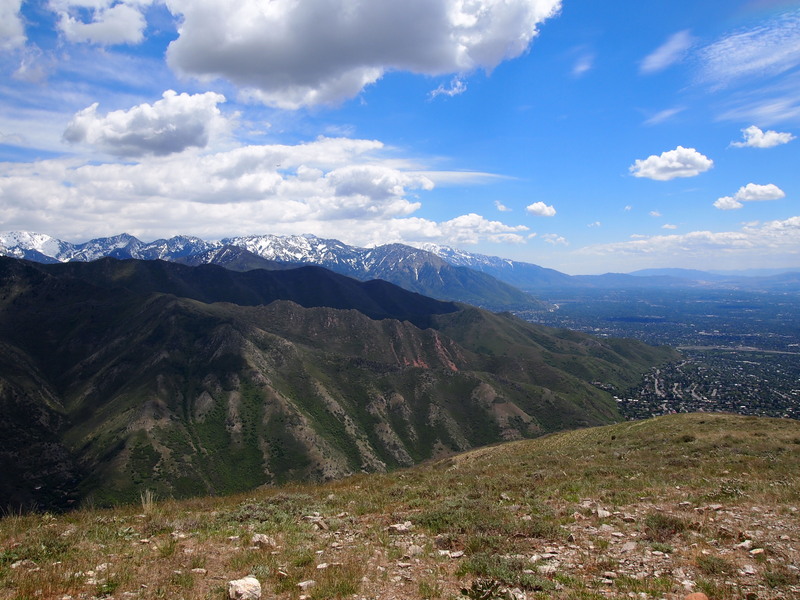 The trail followed a stream and then dumped us in a large meadow with an amazing view of Snowbasin Resort. At the beginning of July, two of my wonderful friends from Texas came up to visit. 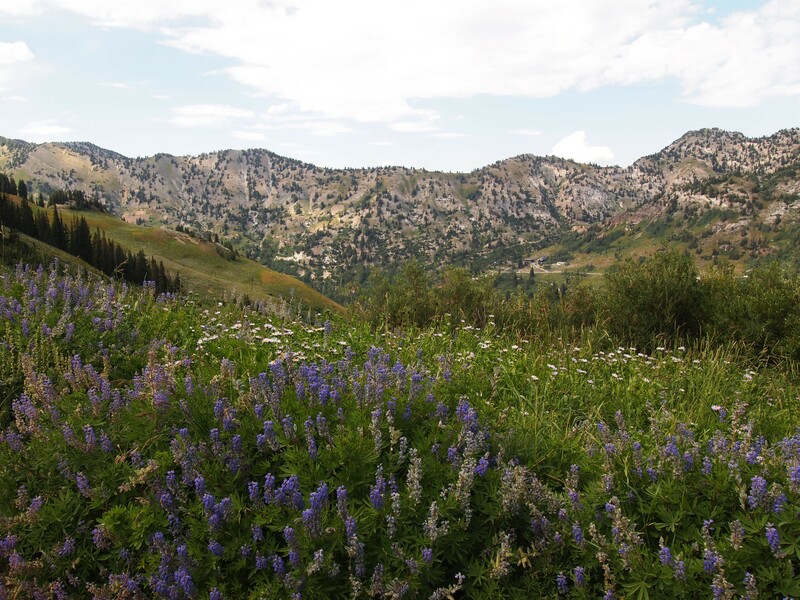 We decided to show them a little bit of Big Cottonwood Canyon on our way to Park City for the afternoon. 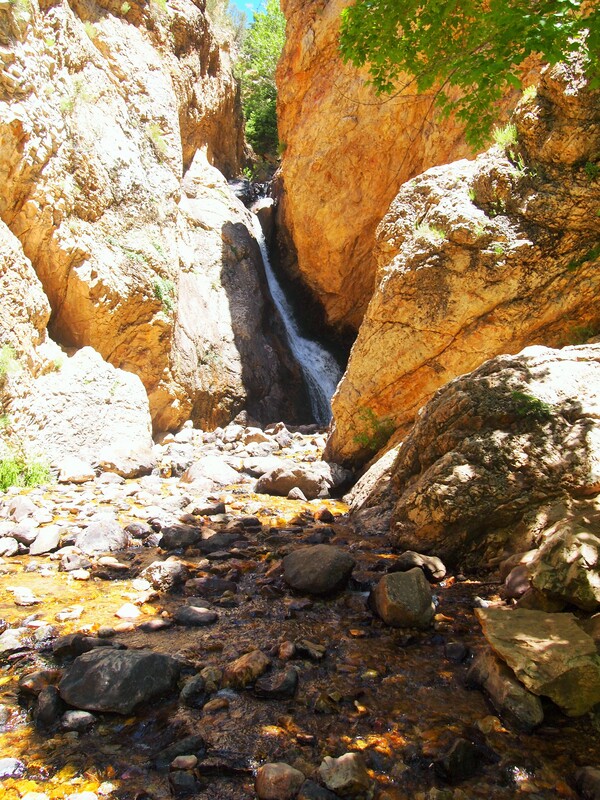 We stopped first at Hidden Falls, a quick walk from the roadside over some rocks to a beautiful waterfall. 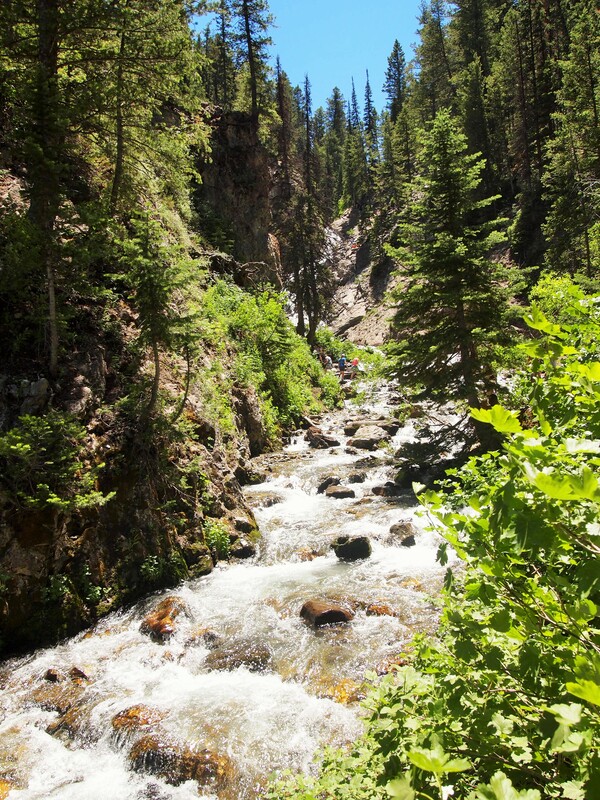 Even though it was late in the season, the enormous amount of snowfall last winter meant that Hidden Falls was still flowing pretty well. 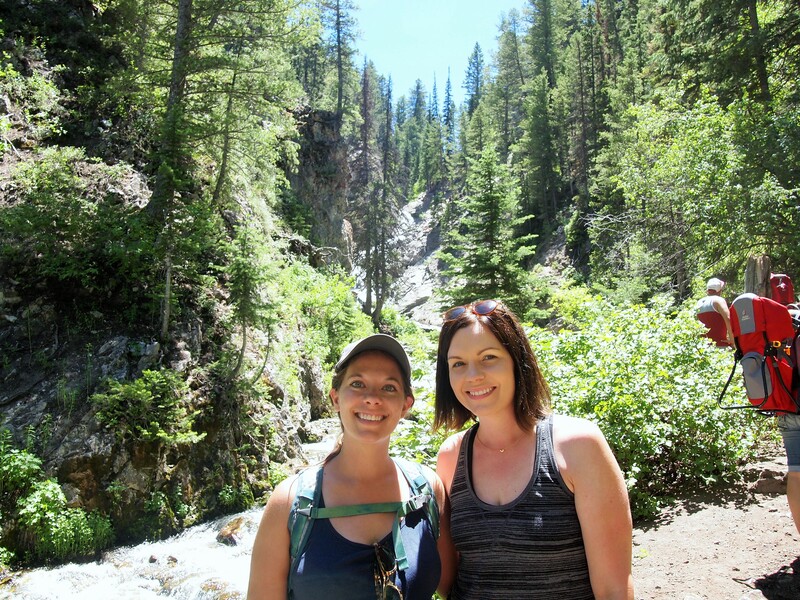 Next we went over to Donut Falls, an immensely popular trail for families. 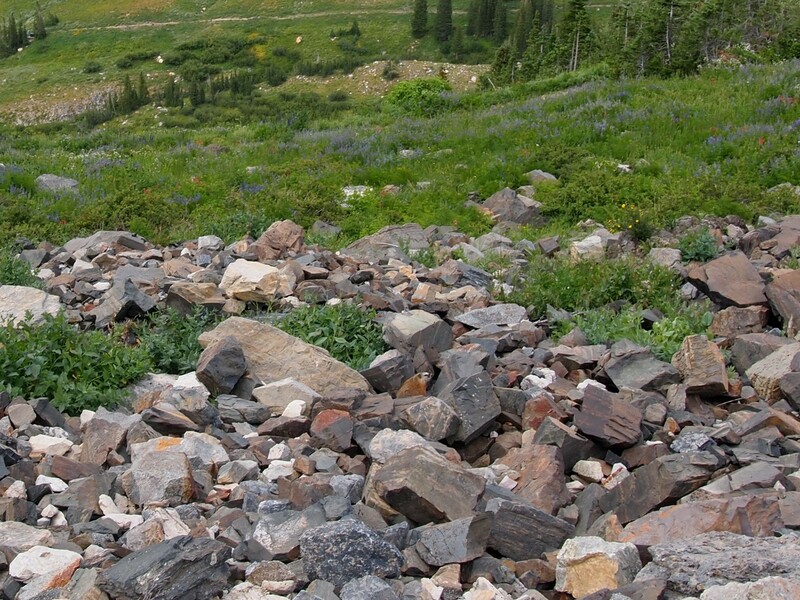 Since it was 4th of July weekend, the trail was extra crowded and it really took away from the scenery. While the trail itself was pretty, the destination was less the impressive. (In general, I’m not often impressed by waterfall hikes.) We did, however, see a moose cross the trail, and that made it all worth it! 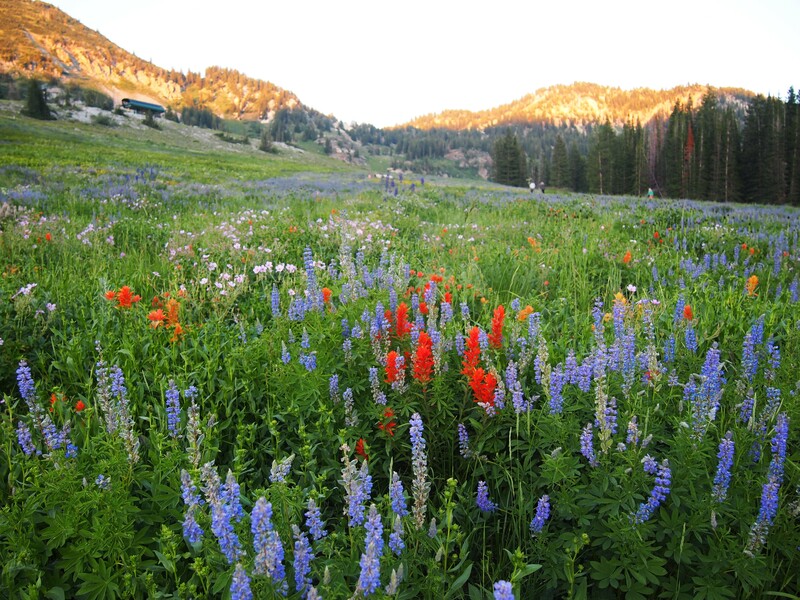 Last year we completely missed wildflower season in the Wasatch. I honestly can’t recall what we were doing, probably acclimating to a new city, new school, etc. – boring stuff. 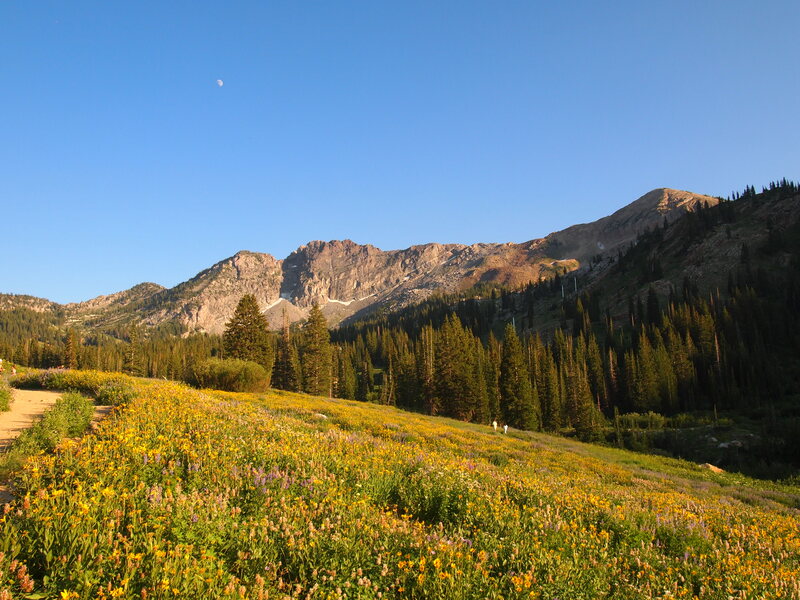 Peak wildflower season is at the end of July, early August, and the one place everyone goes is the Albion Basin at the top of Little Cottonwood Canyon. I didn’t want to miss out, but had heard that weekends were horrifically crowded, so we decided to go on a Tuesday night instead. We were initially going to do the hike to Cecret Lake only, but since the trailhead parking lot was full we ended up starting at Upper Albion Meadows. Wow, I’m so grateful we did! 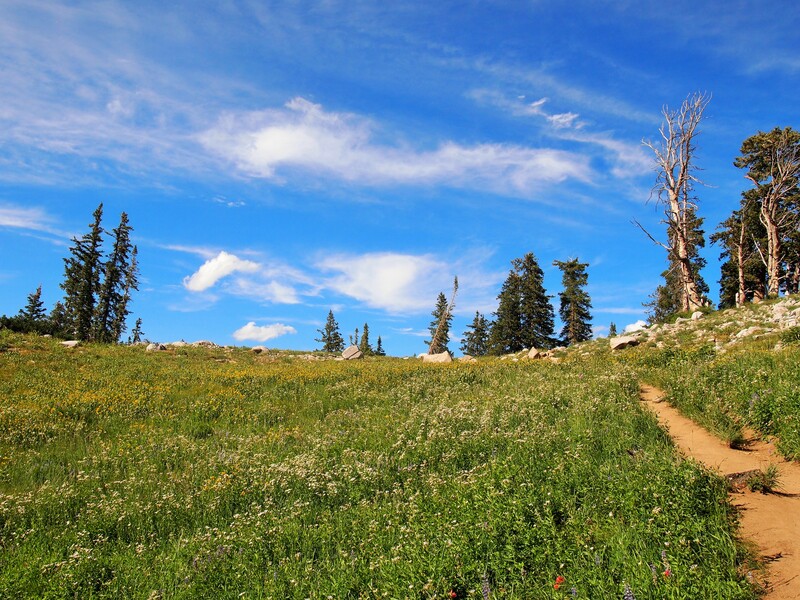 The hike through Upper Albion Meadows was far more spectacular than Cecret Lake. 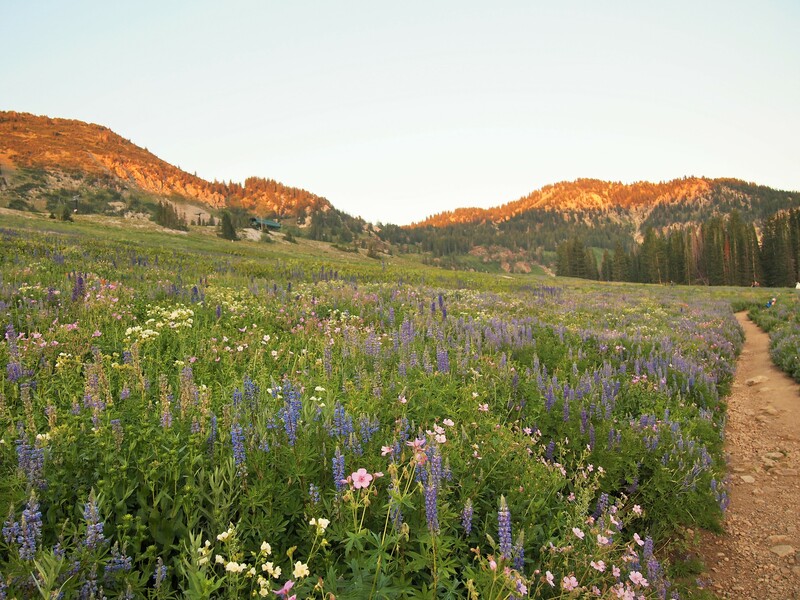 The meadows were bursting with flowers, especially lupine. I was basically a giddy child walking through the meadows. 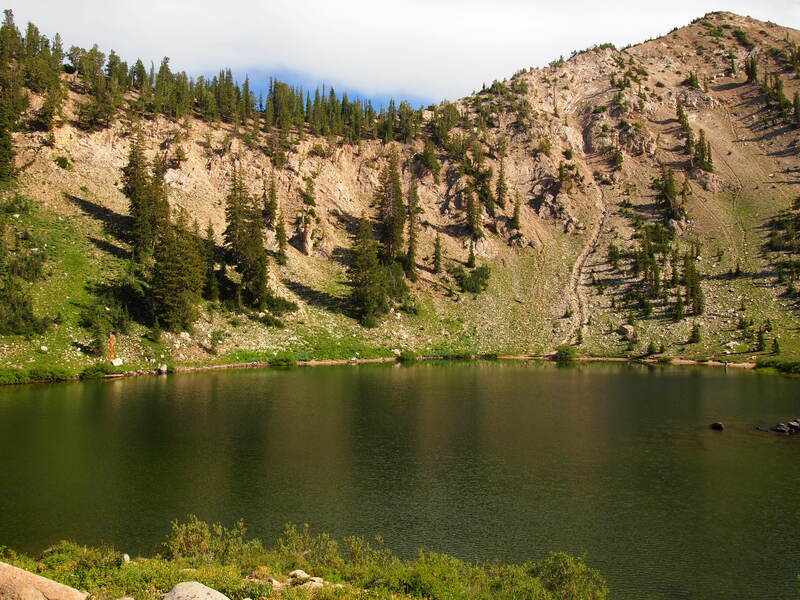 We did go to Cecret Lake, but I found it a little underwhelming. 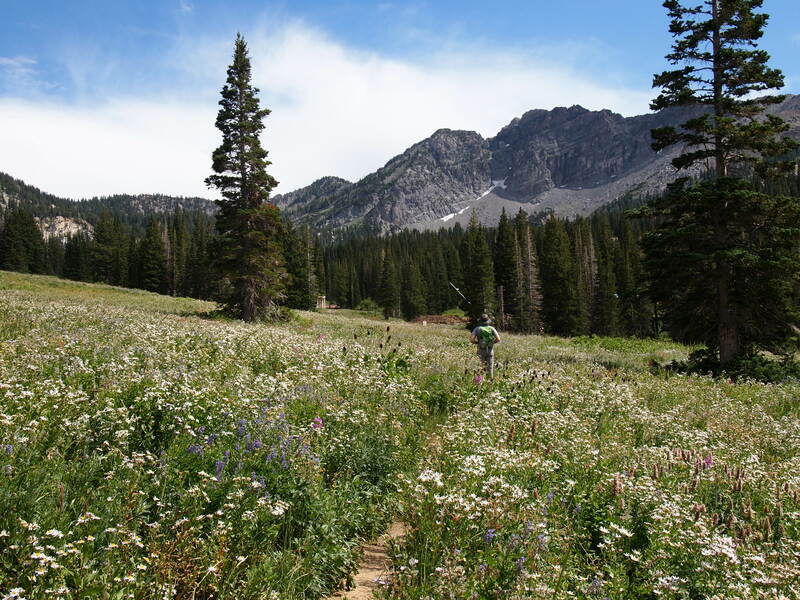 In hindsight, we could have simply hiked through the meadows and been more than content. 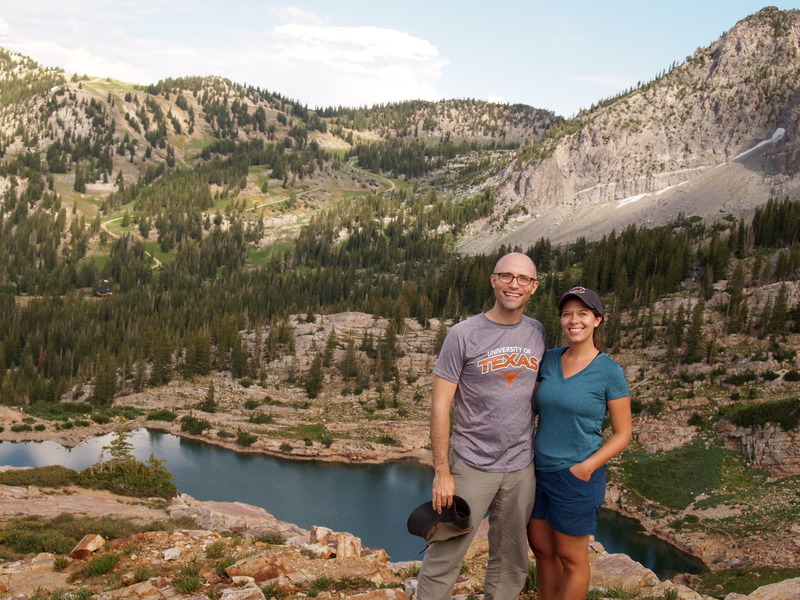 Last fall we hiked to Lake Mary after an early snowfall, but we hadn’t seen what it was like without a blanket of white. 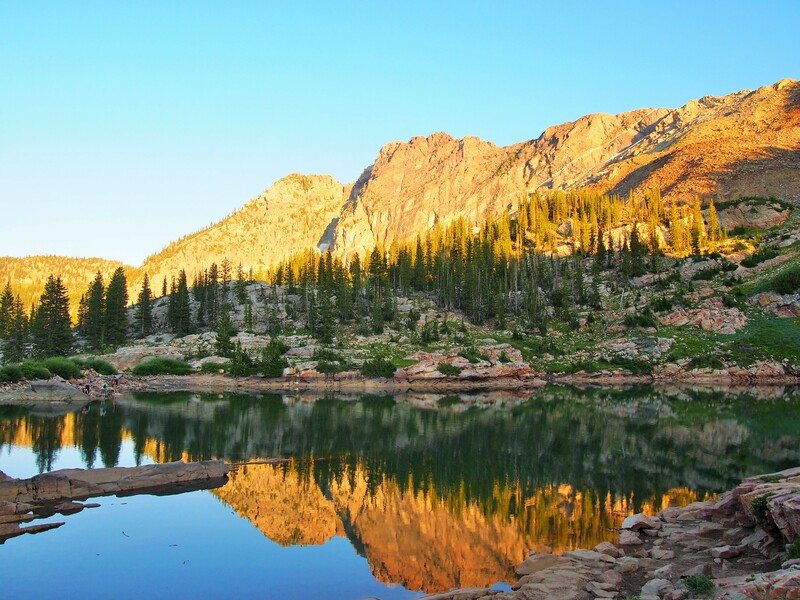 Instead of doing the exact same hike, I wanted to go a little farther to Lake Catherine which sits just below Sunset Peak. It was definitely worth going back! Lake Mary looked completely different from last fall; the water level was much higher (thanks to a hefty snow melt), and we were able to walk to the opposite side of the lake without the danger of slipping on icy rocks. 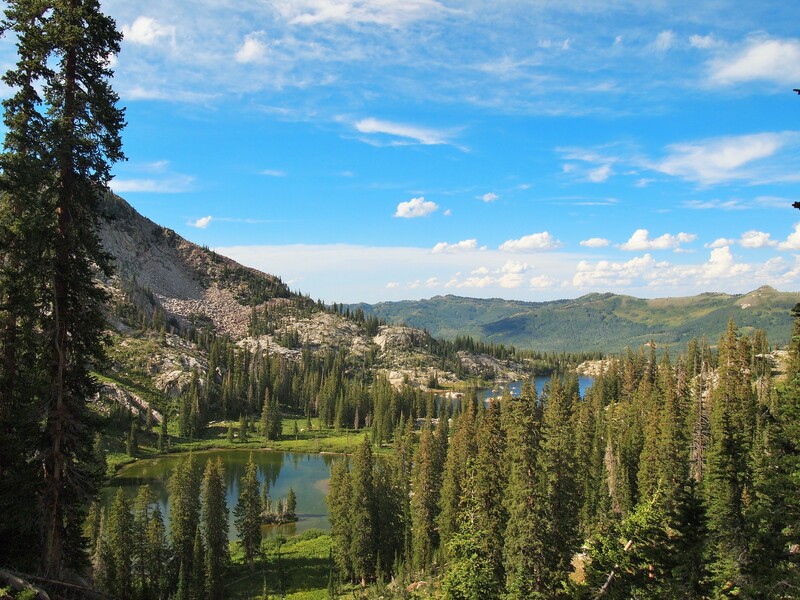 We continued through wildflower laden meadows to Lake Martha and finally Lake Catherine. 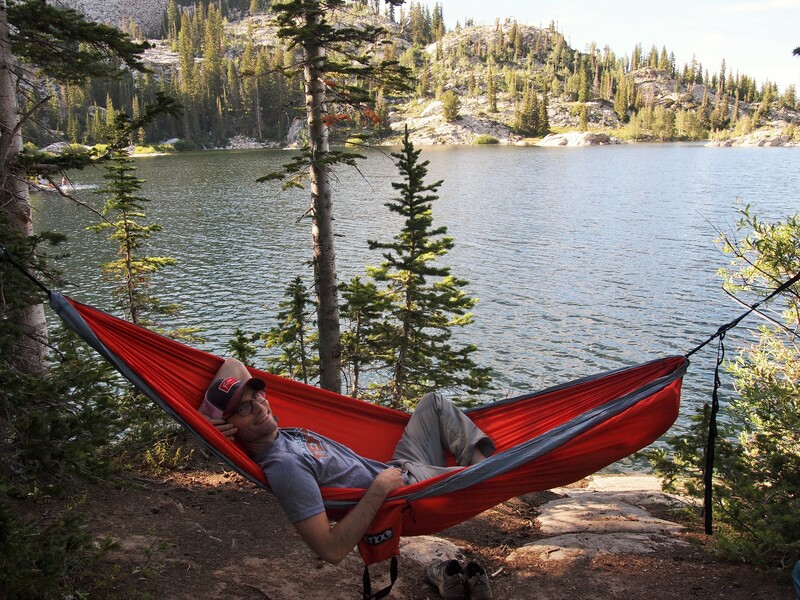 We decided not to summit Sunset Peak, but rather head back to Lake Mary and string up our hammock. It was the perfect Sunday afternoon, complete with a couple of moose sightings. 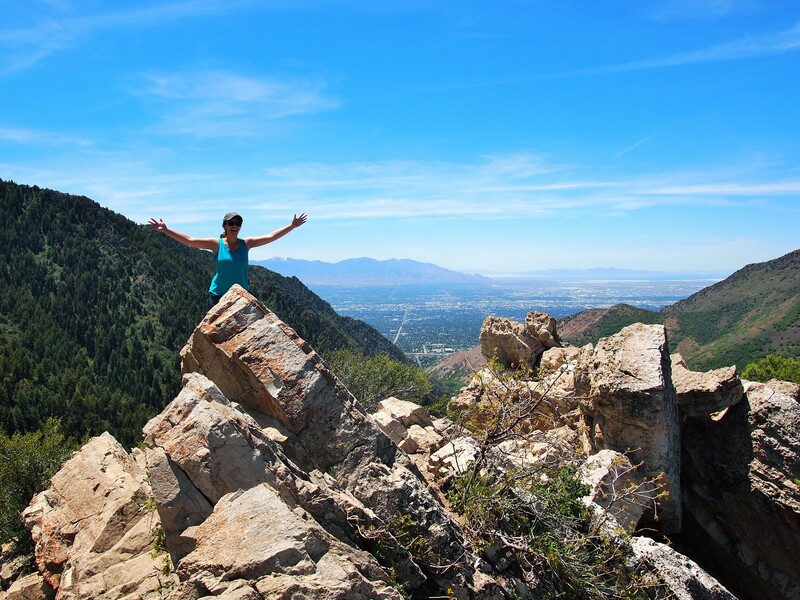 For our farewell-to-summer hike the weekend before school started, we decided to go back to Little Cottonwood Canyon. 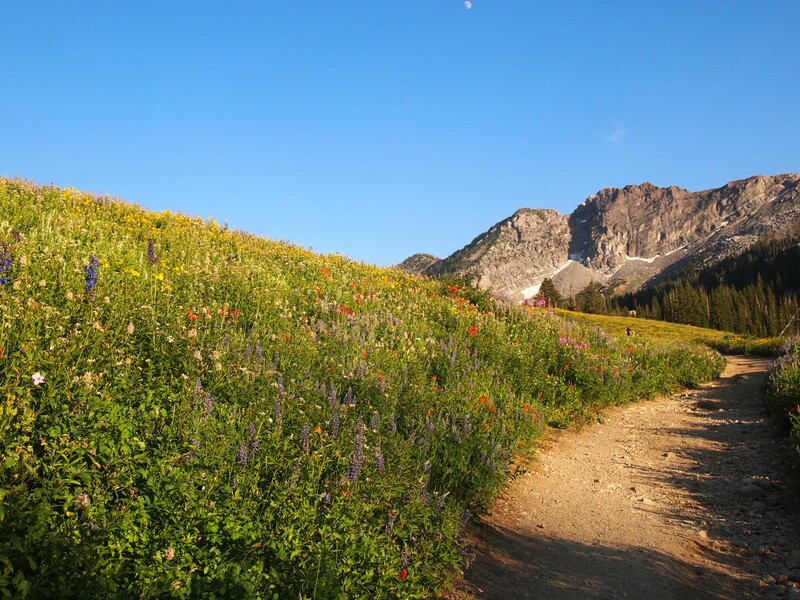 I thought we could hike through Upper Albion Meadows again, but instead of going to Cecret Lake, go up to Germania Pass. 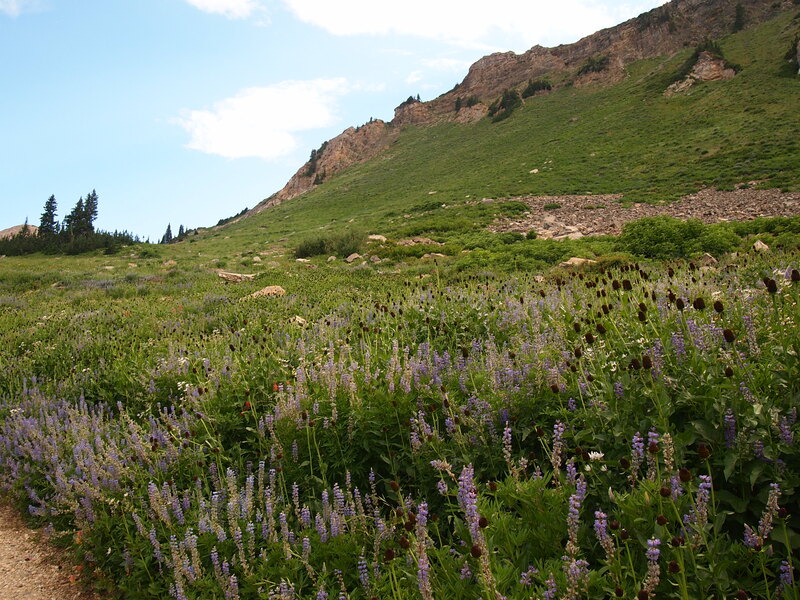 The wildflowers were almost entirely gone from the meadows; it was a completely different hike. 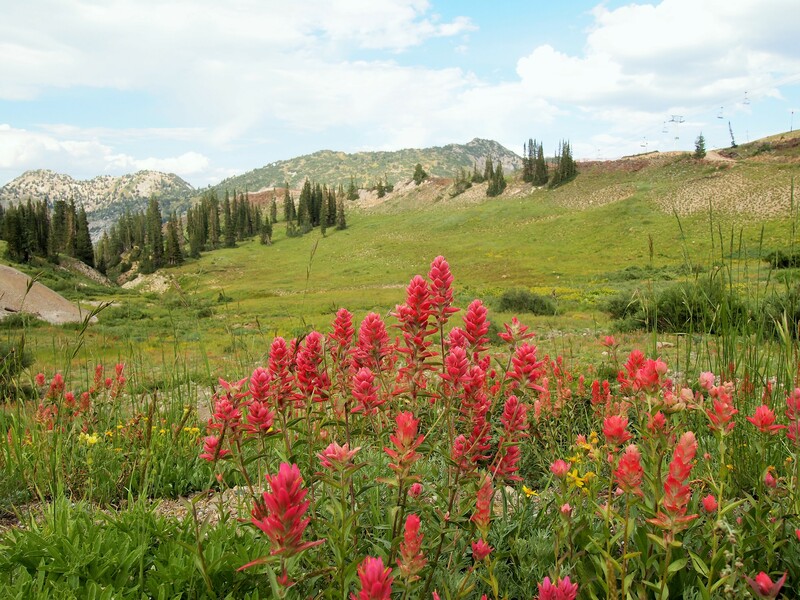 But as we turned onto the Germania Pass trail and began ascending the switchbacks, the same wildflowers that had dominated the meadows below were in full bloom on the mountainside! 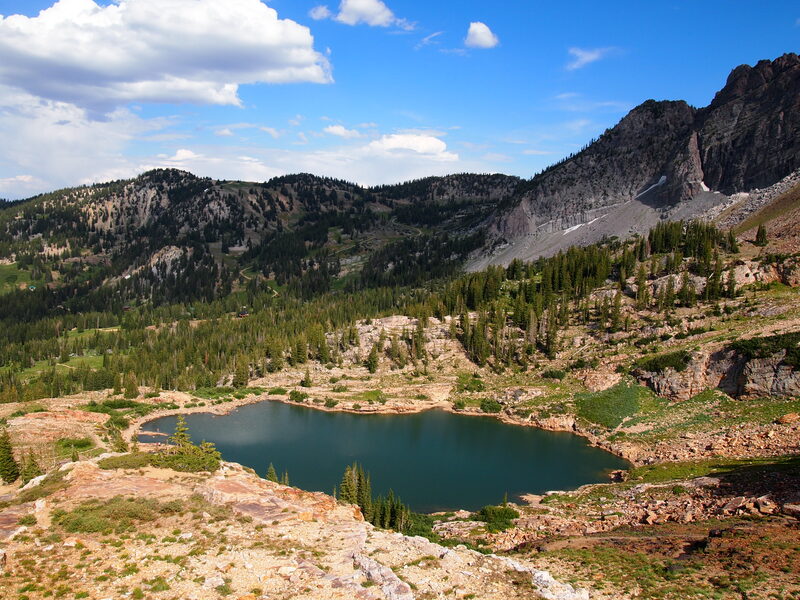 We continued up the road until we came to a rock outcropping where we decided to check out the view of Cecret Lake and have a snack. In the end, we didn’t care enough to go the short distance to Germania Pass and ended up going back down. We passed through a boulder field (as we had on the ascent), but this time spotted at least 10 badgers sunning themselves! Where’s our badger dog when we need him!? 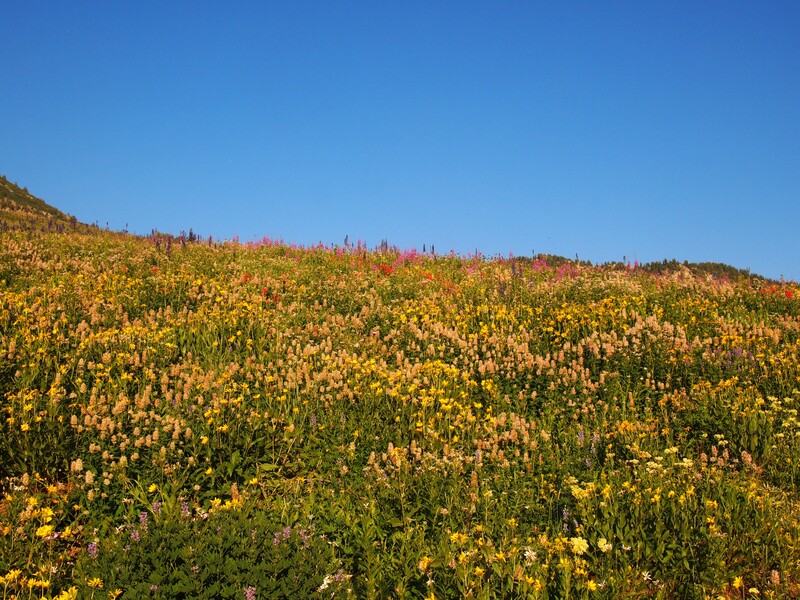 It was a really lovely hike, a great send-off to summer, and culminated in burgers and beers at The Cotton Bottom Inn – what more could you want? 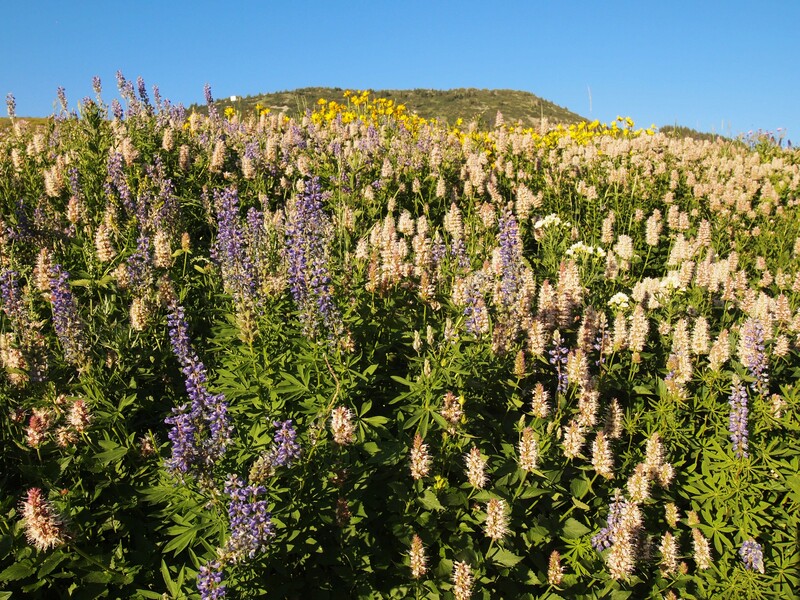 Lots of Lupine at higher elevations!